MainAll NewsInside IsraelWill the Likud ballots be recounted? Will the Likud ballots be recounted? Chairman of Central Elections Committee orders examination into whether there were irregularities in the Likud primaries. The chairman of the Central Elections Committee, Justice Hanan Melcer, on Sunday evening ordered an examination into whether there were irregularities in the Likud primaries. The examination will be conducted following a report on Channel 12 News, according to which in a number of localities, some of the candidates received more votes than the number of voters with the right to vote in those places. For example, Mitzpe Yeriho, a religious community located east of Jerusalem, has 153 voters, while Ofir Akunis received 229 votes there. The city of Bnei Brak has 334 eligible voters, while Miri Regev received 436 votes in the city. Yoav Galant received 780 votes in Kiryat Malachi, although only 516 voters are registered in the city. In Netivot, Yisrael Katz received 1,061 votes, even though there are only 1,047 voters in the city. In Har Hevron, Ze’ev Elkin received 73 votes, even though only 67 voters registered in the regional council. The Likud said in response, "The Likud is proud of the primaries and of the fact that it is examining itself in a straight and meticulous manner. Official results will be published in the coming days after all the investigations in the matter are completed." The Likud activists in Mitzpe Yeriho said in response, "We are very happy and proud of the Likud list that was elected, most of which received our support. 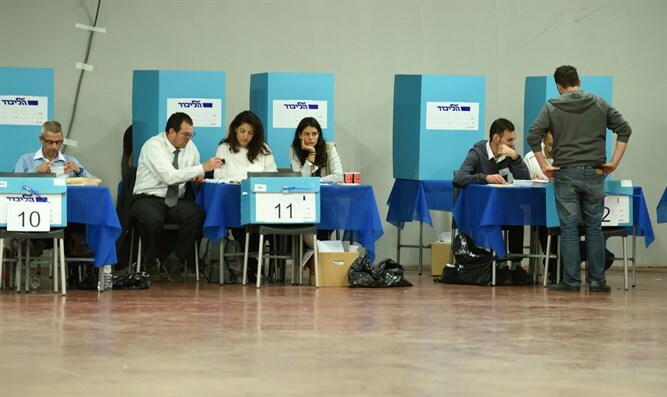 182 voters voted at the voting station in Mitzpe Yeriho, rather than 153 as published. The reason is that the members of the ballot committee forgot to add a page with the results of a number of other candidates (Miri Regev, Gideon Sa’ar, Yisrael Katz, Yoav Kisch, etc.) and therefore the result was wrongly distributed. The error will be fixed as soon as possible. There is no fear of irregularities or cheating at the ballot box. Everything was conducted according to the law."